1. Line 9-inch square pan with plastic wrap. 2. Melt butter over medium-high heat. Add honey, cream and brown sugar; cook until mixture comes to boil, stirring frequently. Reduce heat and continue boiling, stirring frequently, until candy thermometer registers 250°F to 255°F, about 45 minutes. 3. Remove from heat and stir in vanilla; pour into prepared pan. 4. Let cool completely in refrigerator before cutting into individual caramels. 5. Roll in chopped nuts or sprinkle sea salt, and wrap each individually in clear plastic wrap. 6. Store, tightly wrapped in refrigerator up to 1 month. 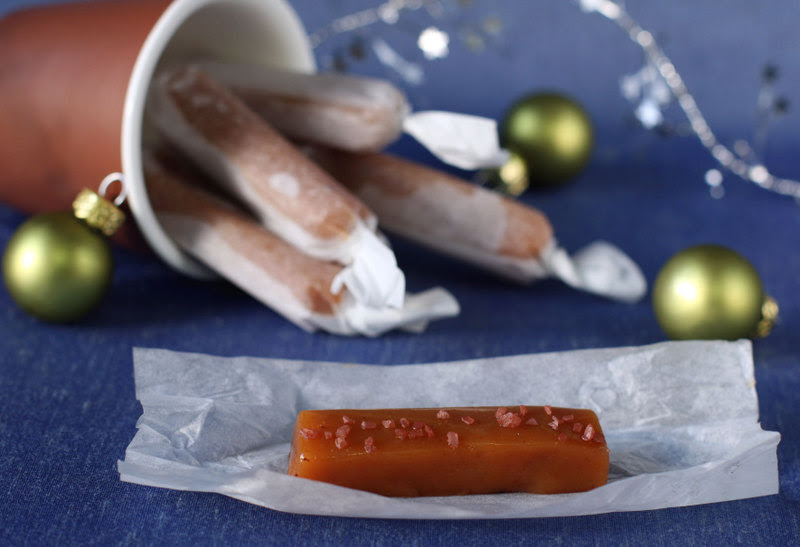 Caramels will be soft at room temperature and firm if kept chilled. ← Is it really honey?